After years of anticipation, the 2012 Summer Olympic Games will begin in London, England. The Games will go from the opening ceremony tonight through August 12th next month. 7 years ago London was selected to host the 2012 Olympics, and after the first event was held two days ago, the official start to the Summer Games is tonight. More than ten thousand of the best athletes from all around the world are in London. 204 nations around the globe have sent the best of the best to compete in 26 sports in 302 events. The London Olympics are going to be one of the most anticipated in history and will be the most prolific. 2012 was destined to be a historic year in the history of the Olympics. The five cities contesting for the right to host the Olympics were Moscow, Russia, Paris, France, Madrid, Spain, London, England, and New York City, New York, USA. With billions of dollars spent on the event, the eyes of the world will be on London for the next few weeks as the best athletes in the world compete for 302 gold medals. In the United States, basketball is one of the events where Americans expect nothing less than gold. Ever since we saw the Dream Team in 1992, American basketball has had the responsibility to come into the Olympics every four years as the best in the world. Michael Jordan, Magic Johnson, Larry Bird, and company put together their forces to make what many contend was the greatest basketball team of all time. 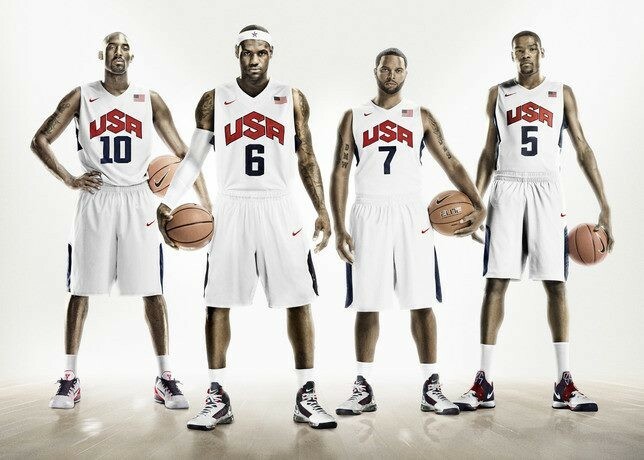 While it is hard to say that this year’s team is better, LeBron James, Kobe Bryant, Kevin Durant, and their teammates are determined to blaze through the competition and knock off top competitors Spain and Argentina on their way to the goal medal. Michael Phelps. 14 gold medals. 8 gold medals in 2008. Phelps is arguably the greatest Olympian of all time. In 2008, seven of his eight gold medals were also world records. At 27 years of age, Phelps is still young and in the prime of his athleticism. Can Phelps get seven more gold medals in London? Not if Ryan Lochte has anything to say about it. Lochte defeated Phelps two times in the world championships in 2011. Lochte is the same age as Phelps is and arguably just as good. If anyone can stop Phelps from getting seven gold medals in London, it is his fellow American Ryan Lochte. Few would question the claim that Usain Bolt is the most exciting track athlete of all time. Not only did Bolt prove in 2008 in the Beijing Olympic Games that he is the fastest man alive, but he was so much faster than everyone else that he was celebrating and slowing down before crossing the finish line. In 2009, Bolt ran the 100m in just 9.58 seconds, completely destroying his own previous record. 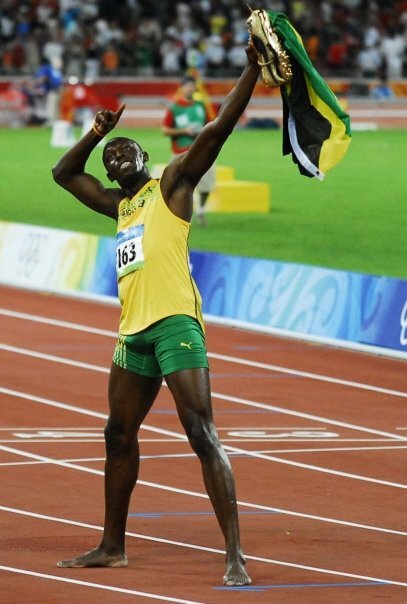 In 2008, Bolt got gold medals in all three of his events. Bolt’s biggest challengers this year will be Americans Tyson Gay and the returning Justin Gatlin, and Bolt’s fellow Jamaican Yohan Blake, who has beaten Bolt is two races before- the Jamaican Olympic trials earlier this year. Gymnastics is always a fan favorite at the Olympics. This year the women’s team is full of new stars. None of the girls are returning from the 2008 team. Romania and China are expected to be the biggest competition for the Americans once more. The American team is feeling good about their chances, but they are not getting overconfident, as gymnastics is one of the sports where the tiniest details separate the top competitors. The men’s team is full of fresh faces as well that are determined to bring home the gold from London. With competition for gymnasts beginning on Saturday and stretching all the way to the day of the closing ceremony, the men and women of the United States must be on the top of their game the whole Olympics to take the gold medals. In 2008, China, the home country, took home 51 gold medals while the United States took home only 36. However, the United States did get more overall medals, 110-100. In 2012, the United States hopes to lead in both categories.